This article was first published in Hype & Stuff on 7 February 2017. It’s the end of your 12-hour shift and you’re delirious from the stream of work that just doesn’t seem to stop piling. You come to the realisation that the week has only just started; it’s Tuesday! You need to let loose. 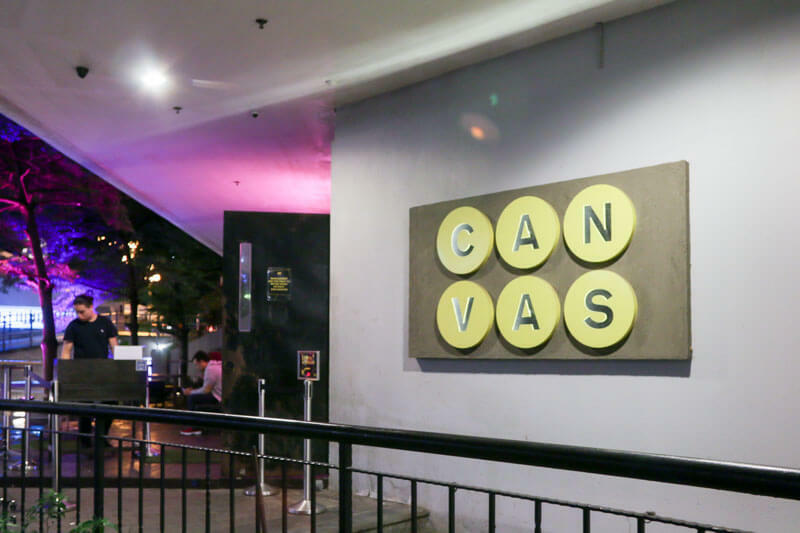 I’m not talking about movies, clubbing or long walks – you need a night of Comedy at CANVAS. Art gallery by day, modern club by night. 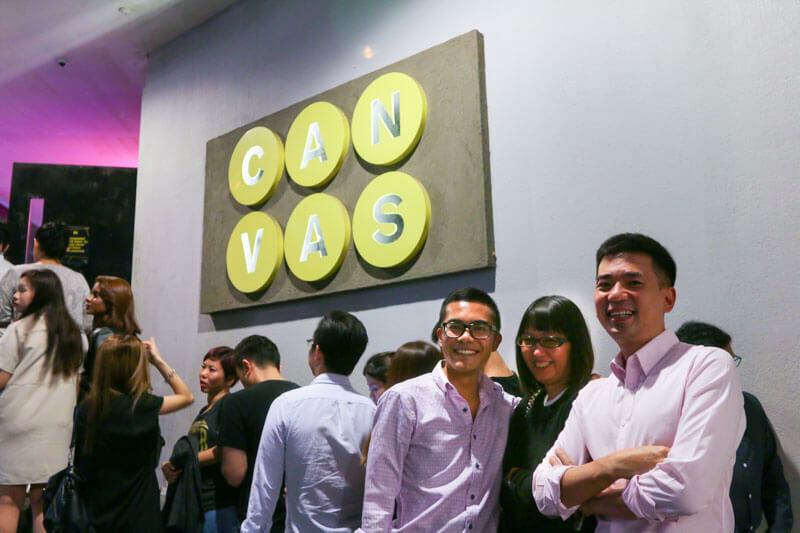 Located on the outskirts of the CBD, CANVAS Singapore offers a wide variety of programs for the discerning and creative-minded. This is one place you’ll want to head to after work. 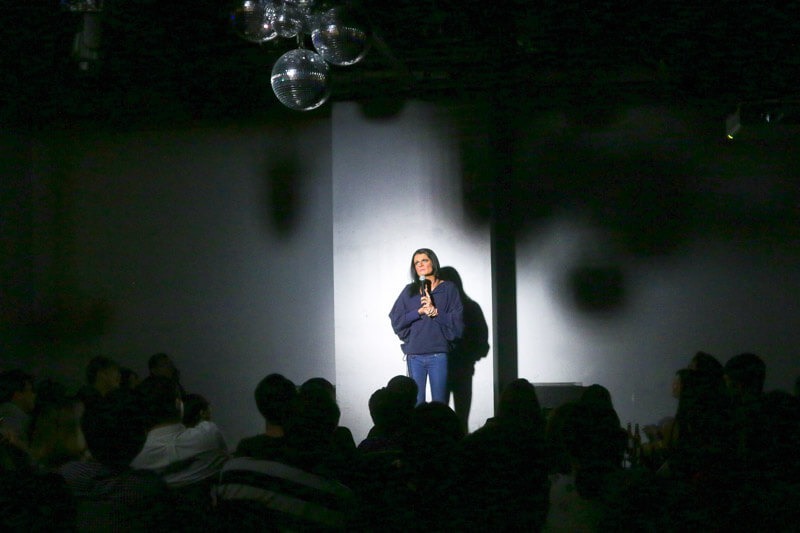 Comedy at CANVAS is staged every alternate Tuesday night. We arrived a little after 8pm and a queue had already begun to form. The crowd? A respectable mix of cheery (and dreary) middle-aged working class young adults. Entry to the show is strictly 18 years old and above. You’ll have to pay $40.20 for a seated ticket or $26.88 for a standing ticket. We were greeted by an interior that was both chic and contemporary; first-time guests would never have guessed that this space is an art gallery in the morning. 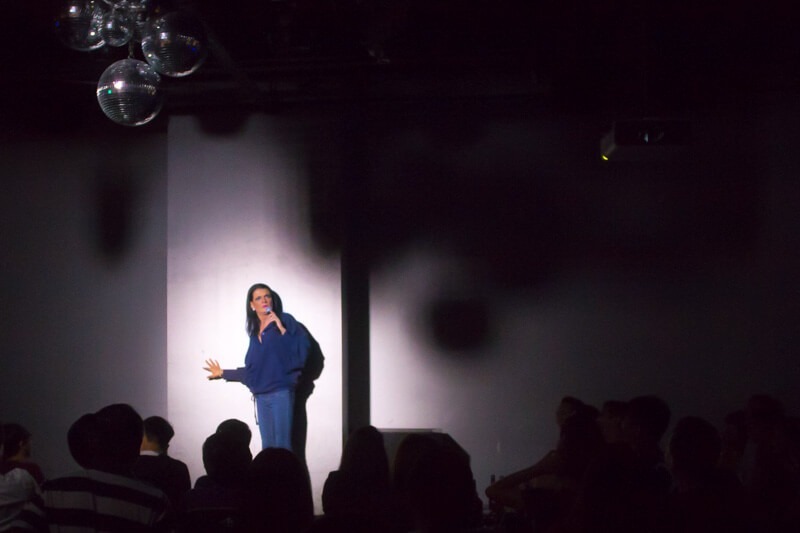 The compound fits 125 seats and up to 80 standing audience members per show. Do bear in mind that seated tickets are usually sold-out in advance, so we recommend booking yours early to avoid disappointment. 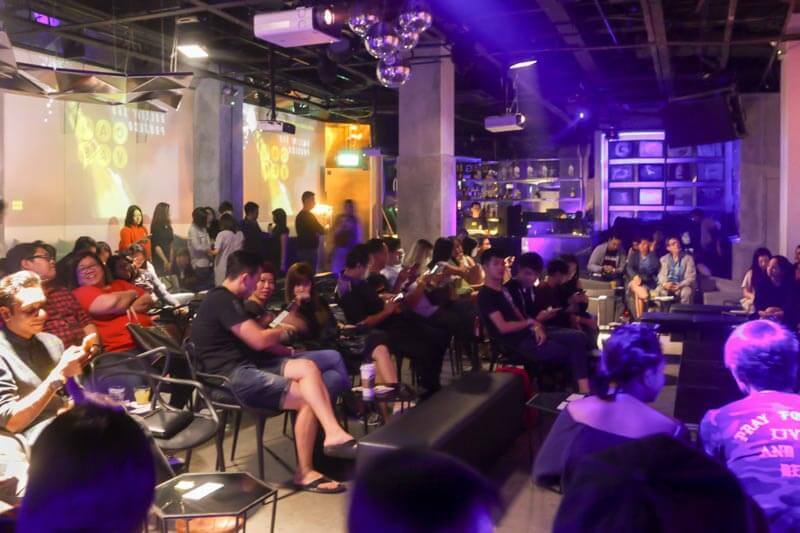 It was hard not to feel a surge of energy when the DJ started playing classics like The Backstreet Boys, Justin Timberlake and Journey. 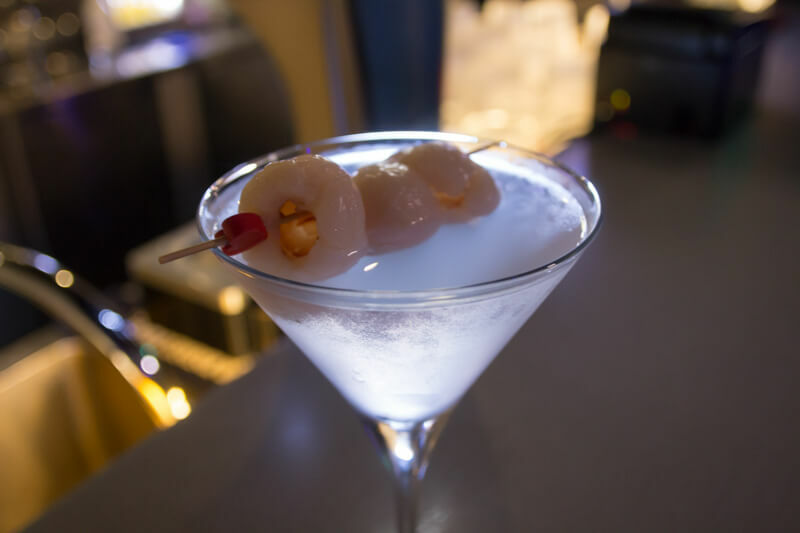 Each ticket entitles you to a free drink, perfect for a little pick-me-up before the show starts. The Star Of The Night: Kumar! 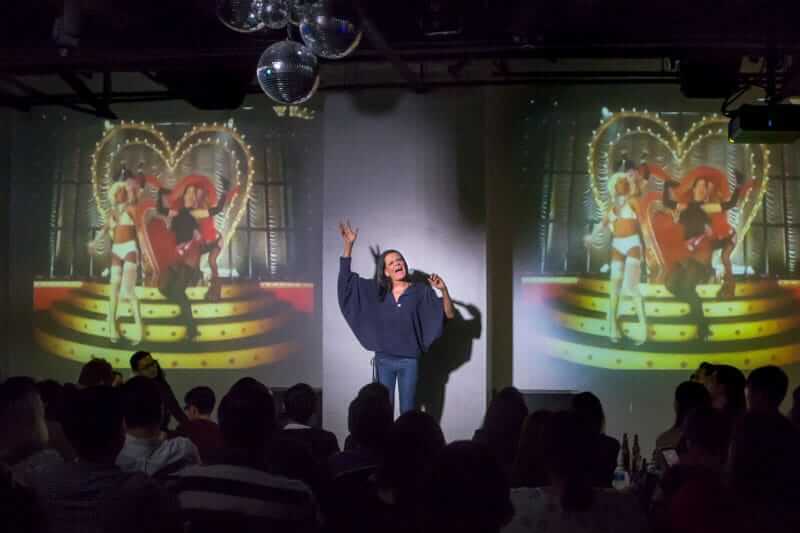 Strutting in like a boss to loud cheers and applause from the audience, Singapore’s favourite leading drag queen comedian, Kumar, arrived. 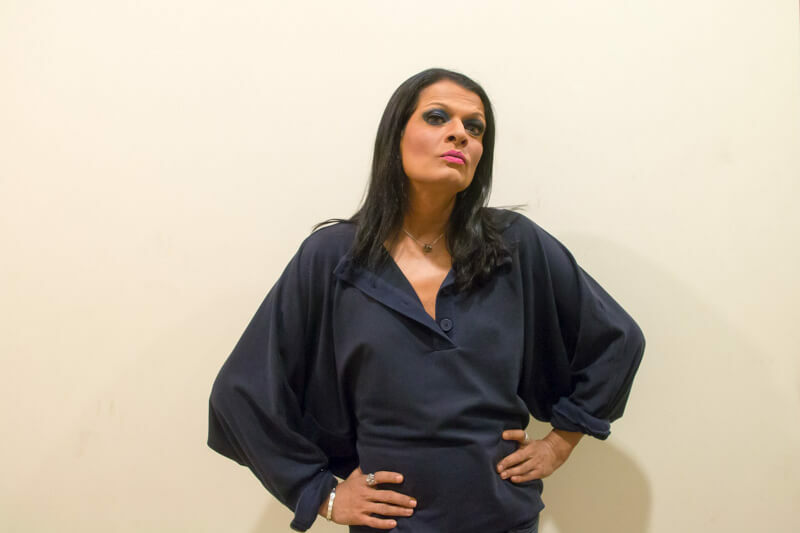 Kumar has been in the entertainment industry for more than 20 years – he’s been an actor, a television host, a cabaret performer, a dancer and at Comedy at CANVAS, a stand-up comedian. 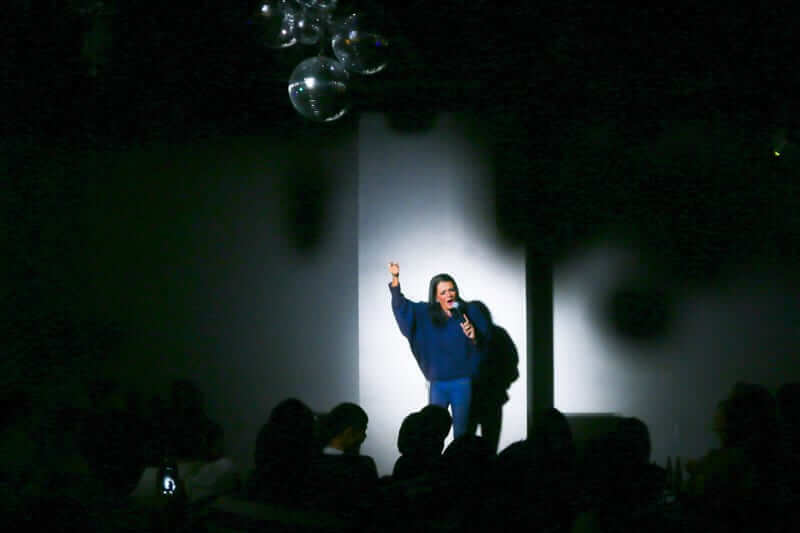 Widely known for poking fun at all things controversial, his caustic remarks, based on his everyday observations, are bound to have audiences bowling over with laughter. Kumar began the show with a gentle reminder that videography is prohibited, but that audiences are free to whip out their smart phones to snap shots. The show is split into two sections, with a short 10-minute intermission in between. The first part of the show features jokes mostly on local, current affairs. From the flooding at Bishan Park, to the Pioneer Generation lanes at NTUC, and the outcome of Amos Yee. No one is safe at this no-holds-barred show. My favourite part? His take on local TV productions — Tanglin and Crimewatch. I laughed so hard as he mocked the lifestyles of the different households in Tanglin. It’s amazing how he always get away with every snide remark of his. The second segment began with a hilarious start as our queen decided to lip-sync to “Lady Marmalade.” The crowd loved it. 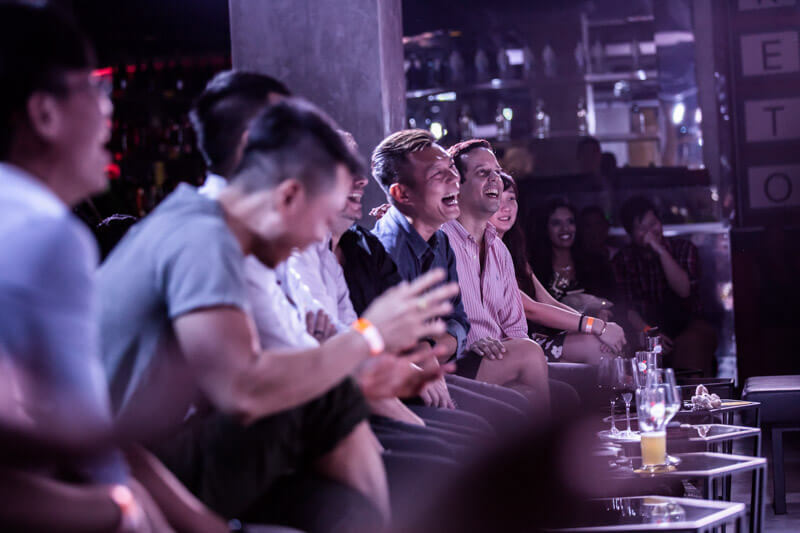 This next segment is one of the highlights of the show, where Kumar sheds light and delves deeper into the daily mundane lives of those living in Singapore – the singles, the married (and their mother-in-laws), the queer and more. After the show, we were lucky enough to catch up with Kumar. What’s Kumar like when he’s not doing stand-ups? Besides the occasional loneliness, what is the price to pay for fame? If you’ve been to any of his shows before, you would’ve probably heard some of his classic jokes. For those who haven’t, go with an open mind and be prepared. You never know what to expect with Kumar in the house. There’s one thing you can be certain of though – it’s going to be better than staying at home.